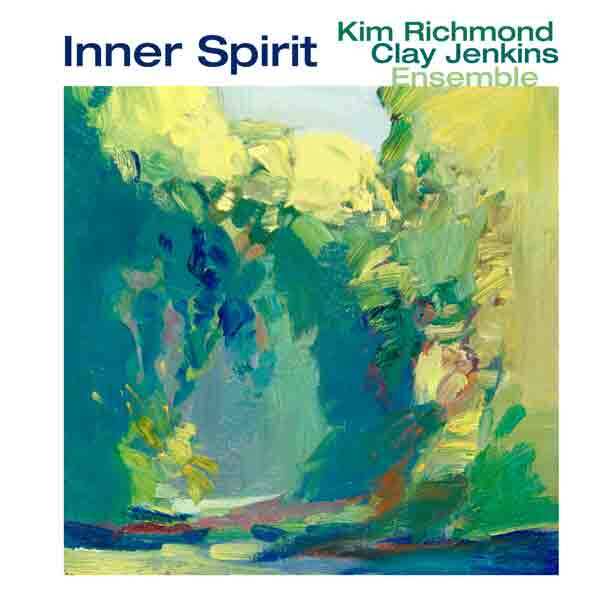 Kim Richmond, Musician-Recordings: "Inner Spirit"
This CD is “Inner Spirit,” the fourth recording by this Ensemble. Expanded to 7 for this outing, the group presents mostly originals by the two leaders. Clay Jenkins brings four unique pieces to the forefront: “Habitat,” based on rhythm changes, “Cornerstone,” with some wonderful twists and turns, “Ancestry,” a re-working of a past standard’s changes (“Gone With the Wind “), and his lovely and soulful ballad “Kiera,” named for his young daughter. Kim’s offering consists of five pieces, from the title number “Inner Spirit” and the boisterously funky “Spring Forth” to the beguiling “Sense of Things” (featuring Trey Henry’s bass solo at the beginning) and the racing up-tempo “Cut-Throat.” The remaining original “Powers That Be” has some mixed-meter funk and intricate horn voicings. The only non-original is Chick Corea’s “Humpty Dumpty,” arranged by Kim, augmenting the figures and harmony. The interplay of the Ensemble players is always spectacular, with Joey Sellers on trombone joining Clay and Kim in the blending and contrasting. The sound of the group is heightened and expanded by the guitar of Will Brahm, who also provides some powerful soloing. Reggie Thomas, a long-time favorite player and friend of both Kim and Clay contributes thoughtful heart-felt comping and soloing throughout this musical journey. Trey Henry is the bassist who simultaneously gives the group a feeling of solidity and looseness, while drummer Joe La Barbera propels and drives the Ensemble relentlessly, yet with sensitivity.